As states and the federal government intensify efforts to contain the spread of Lassa fever, the Ekiti State government on Monday confirmed a case of the virus in the state. The state’s Commissioner for Health, Dr. Olurotimi Ojo said the index case; a female student of the School of Nursing, was at the Federal University Teaching Hospital, Ido Ekiti and was responding to treatment. It was learnt that the patient was admitted to hospital on Sunday and treated for Malaria and Typhoid fever without any corresponding improvement in her health condition. 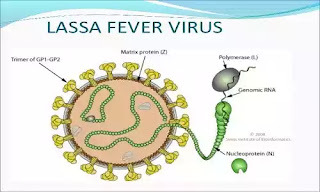 The latest outbreak of Lassa fever has killed more than 40 people since November 2015 including a medical doctor in Rivers State. Ekiti is now the 12th state where Lassa fever has been confirmed.